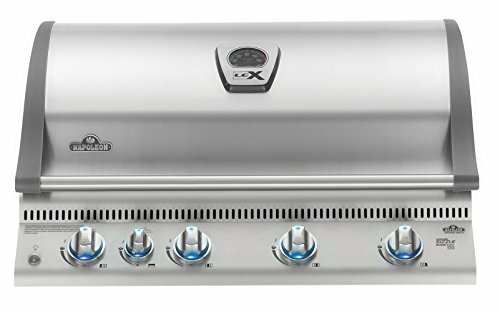 The Napoleon LEX 605 propane gas grill offers a deluxe outdoor BBQ grill for the serious barbecue enthusiast. The superior design and construction features a stainless steel construction with chrome plated accents for a long lasting and durable product with an aesthetic elegance. Three stainless steel tube burners are rated for 16,000 BTU each for superior heat output while the stainless steel sear plates ensure an even heating surface and protect the burners from grease while also preventing flare-ups. Heavy duty stainless steel "Wave" cooking grids feature Napoleon's signature "S" pattern and provide high quality grill marks while and the bottom infrared burner is rated for 12,500 BTU to create the perfect "sizzle" zone for steaks and other food. The integrated rear infrared burner is rated for 13,500 BTU to provide consistent heat (rotisserie kit not included). The JetFire ignition system provides a convenient and reliable startup every time while the chrome plated warming rack adds additional cooking space for up to 745 square inches of cooking area. Four commercial grade casters provide convenient mobility and lock to securely stay in place. 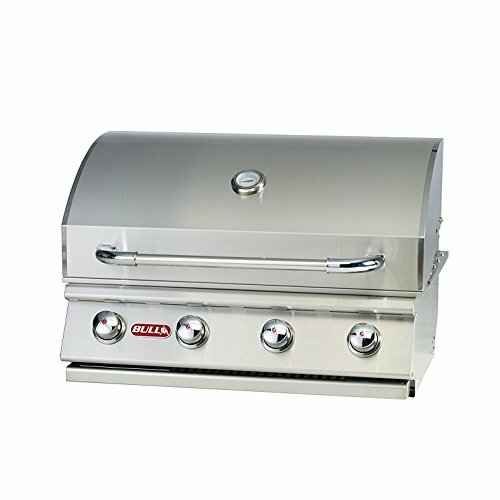 The 30" Outlaw Grill head is a wonderful grilling option for the value minded customer who does not want to give up massive cooking power for their outdoor kitchen island. 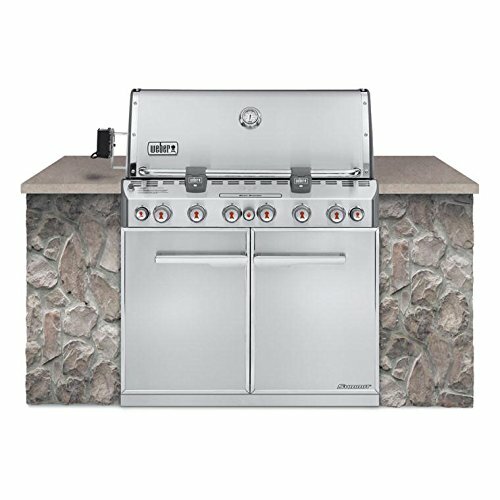 This Grill features 4 Porcelain coated bar burners, each featuring 15,000 BTU's of cooking power for a total of 60,000 BTU's with Piezo igniters and Zinc Knobs for each burner. The grilling grates are solid stainless steel. Warming Rack is 210 Sq. In. and the cooking surface is 810 Sq. inches. For more information contact Bull Outdoor Products at contactatbullbbq.com. This is a Liquid Propane model. 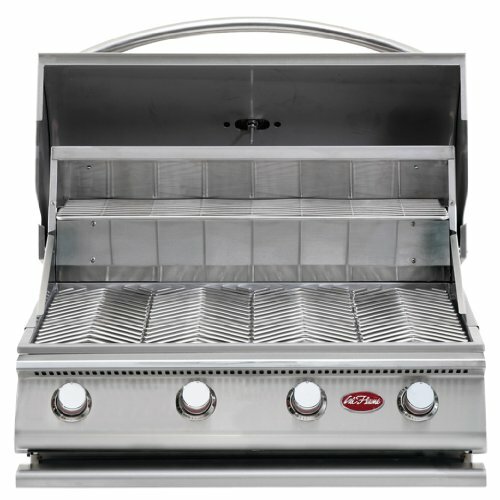 The G4 Grill will definitely take your outdoor BBQs up a notch with a full-width drip tray, four cast porcelain burners for up to 60,000 BTUs and 430-stainless stainless steel construction. This grill also features beautiful a one-piece handle. The Grill does not come with a conversion kit. 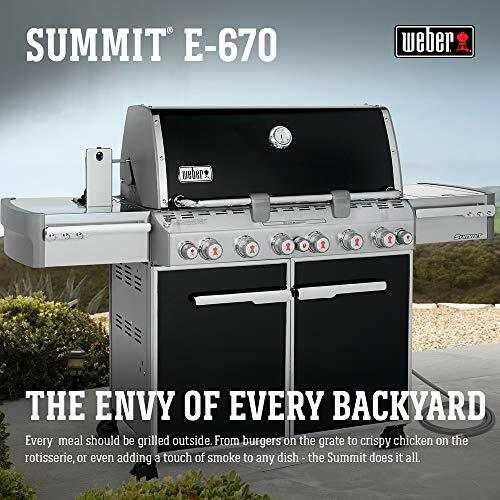 This Weber gas grill Summit E-670 features an enclosed cart with corresponding painted steel doors with stainless steel trim and chrome plated cast aluminum handles. The cooking system, rated at 60,000 BTUs, includes 6 stainless steel gas burners and a Snap-Jet individual burner ignition system. Introducing new innovative lighted control knobs. The cooking grates are 9. 5 mm diameter stainless steel rods. This Weber grill also features stainless steel Flavorizer bars. The links below will open a detailed description of the built-in grill for sale in a new window on eBay.